Description Hickory firewood is a hardwood. It is great for cooking and smoking foods and has an "earthy" aroma. Hardwoods burn hotter and cleaner which means you actually burn fewer hardwood logs than softwood to obtain the type of fire you want. 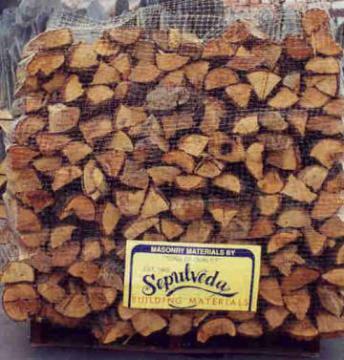 Hardwoods leave less creosote, a sap residue that can clog chimney flue and even cause fires in extreme cases. . Buy Firewood from our online store! 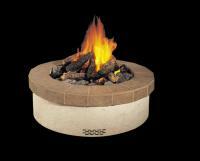 Application & Use Hickory burns very hot and has been used for smoking foods. 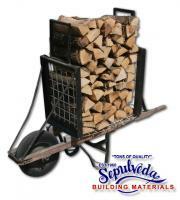 Get a good value by purchasing hickory firewood on-line from Sepulveda Building Materials. Size: 16" lengths, available in full & half cords. 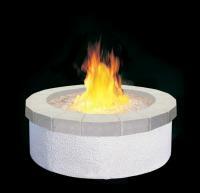 16" available in 1/3 cord pallets.